There’s a torrent of great information flowing through the non-profit blogosphere. But we know that the staff and volunteers of small associations and non-profits have limited time and resources to wade through it all. So we’re doing the searching, curating and filtering of relevant information for you - on Apricot Jam. The increasing use of mobile devices poses both communication challenges and opportunities for non-profits and membership organizations. Think back ... Can you ever remember a time when you were excited to read a blog post titled: “A quarterly report from the Executive Director”? Yeah, neither can I. If the most recent item on your nonprofit organization’s blog is a media release or a link to your downloadable 2011-2010 financials, maybe it’s time to shake things up a little. Read these two posts in the Communications section of Apricot Jam. Attuned to Radio: Is Your Nonprofit Getting Poor Reception? Despite being pronounced dead many times, beginning with the arrival of the television, and being panned by critics as old world, radio has survived for over 100 years and is poised to grow in this century, too. Nonprofits can learn a lot from what’s kept radio going all these years, and the steps the medium is taking to be relevant for decades to come. Read this and other posts in the Membership section of Apricot Jam. In an age where most things are found on the internet, photo-sharing platforms like Instagram are a great way for nonprofits to engage volunteers. I mean, who doesn’t like looking at pictures? Read this and other posts in the Volunteers section of Apricot Jam. It wouldn't be summer gala season without a new string of articles by nonprofit bloggers and journalists questioning the efficacy of special events. Among them, the Nonprofit Quarterly's, Special Events: Are they an addiction?, highlights some common gala dangers and pitfalls: your audience's ambivalence to your cause post-event, questionable return on investment, and misuse of your Board and staff's time and energy. For many organizations, a strategically planned event is one of your nonprofit's most effective tools for building awareness and loyal supporters. (Notice the adverb and adjective there -- they're crucial.) Before nixing the idea of a gala or special event, consider the following three details, which are among the most frequently neglected components of event planning. Read this and other posts in the Events section of Apricot Jam. If you'd like to read any of these posts or articles, you can visit the Apricot Jam topic page (e.g., Membership...) noted after each summary or check out the "Latest Posts" page to view the most recently bookmarked items. 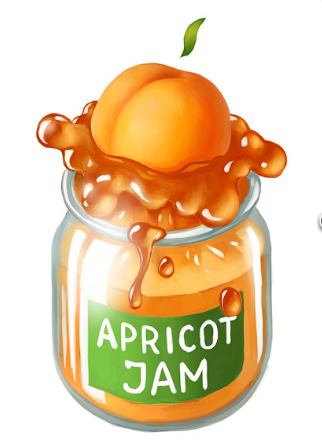 This is just a sample of our Delicious collection of posts and articles on Apricot Jam. We hope you'll visit often to check-out the latest posts or subscribe to our RSS feed.